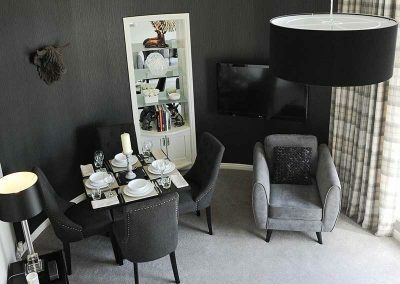 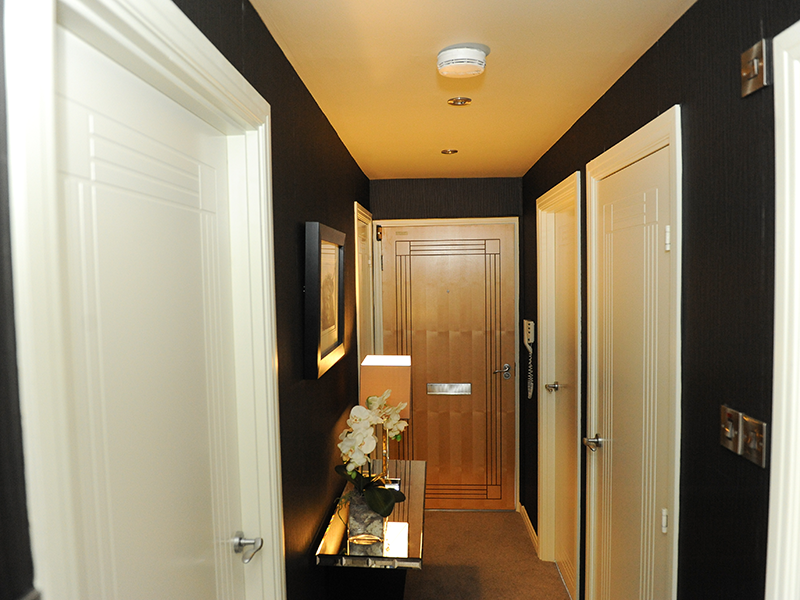 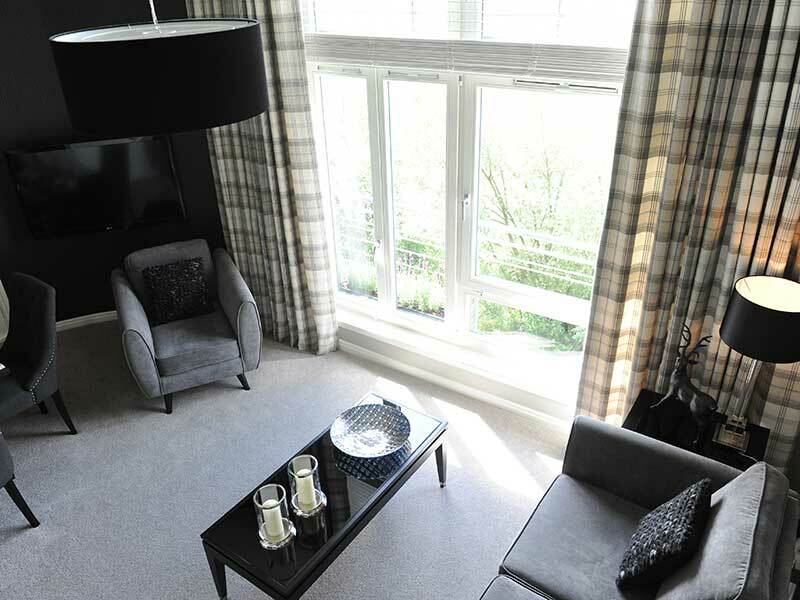 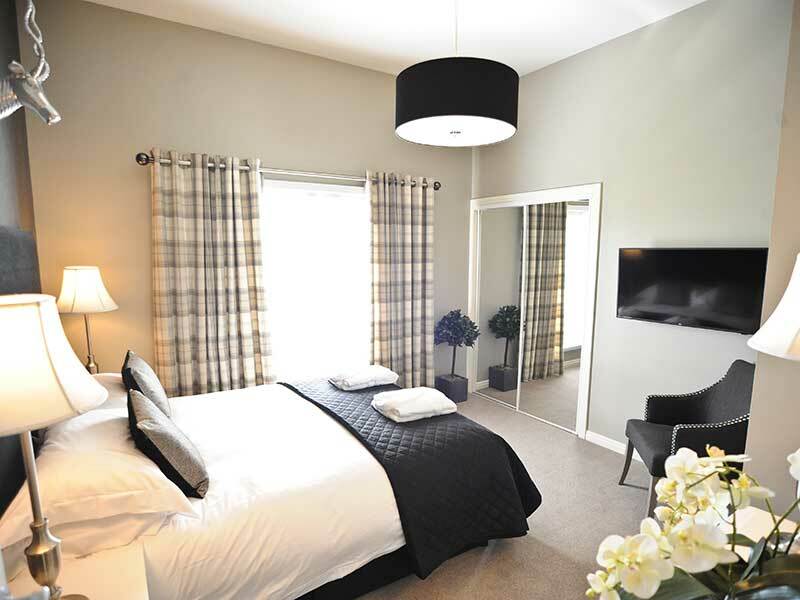 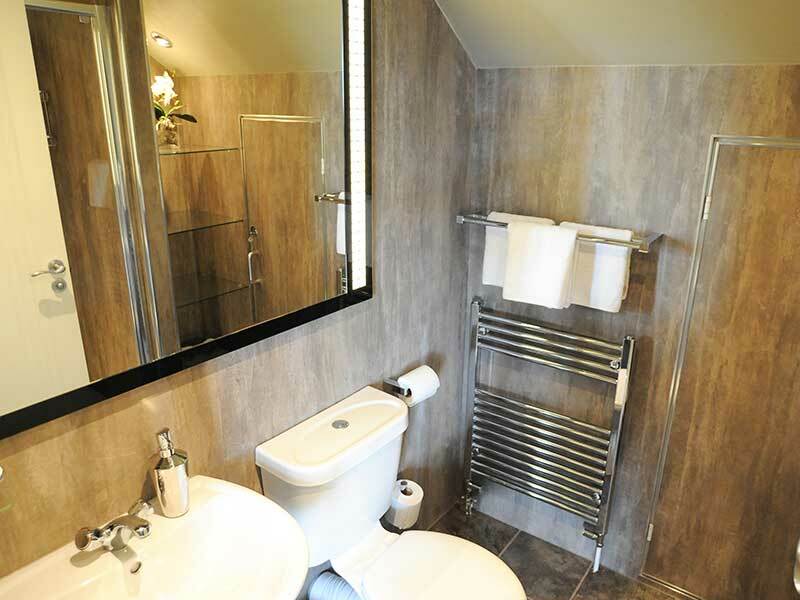 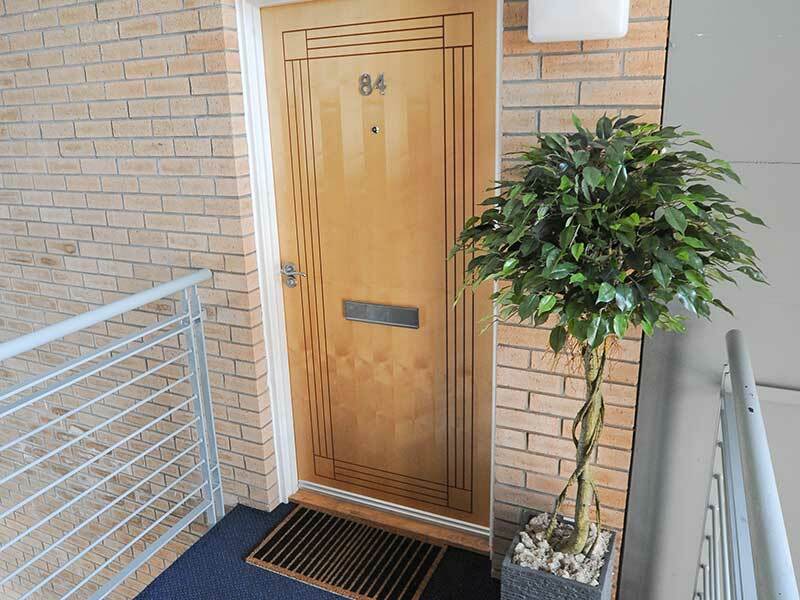 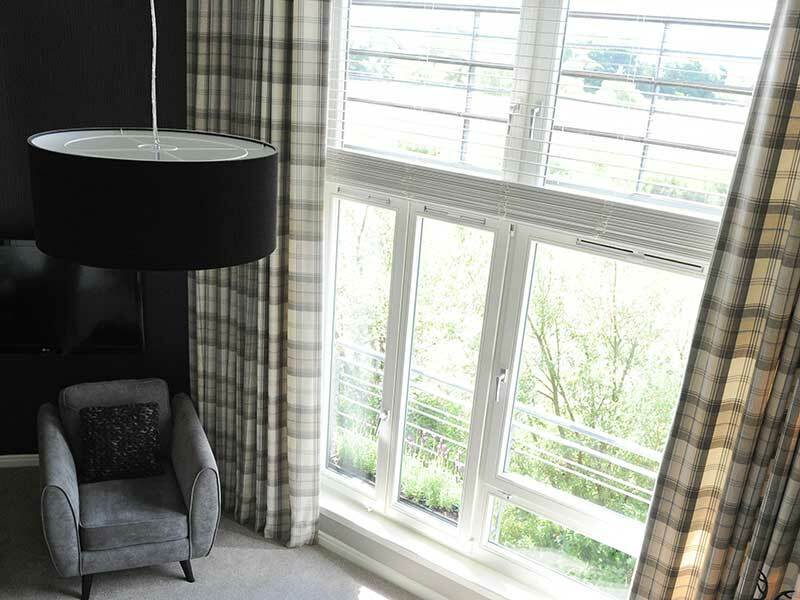 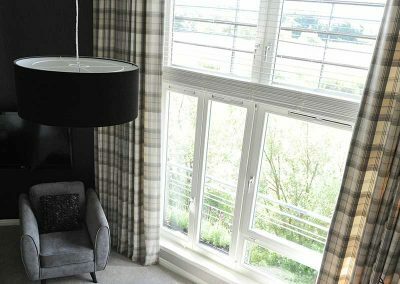 Our luxury apartment in Stirling is the perfect location for visitors to Stirling. 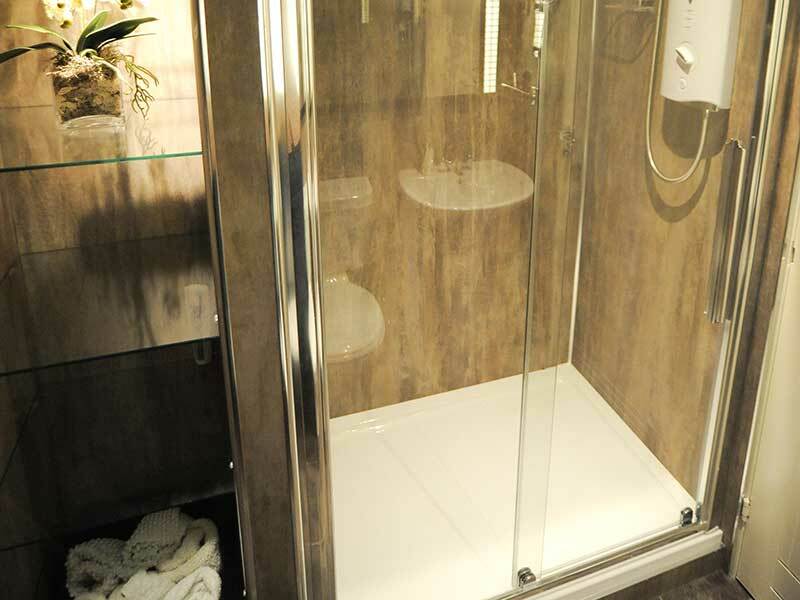 Whether you are a tourist looking for that bit of extra luxury or doing business in the Stirling area and looking for high quality accommodation – our apartment is the ideal solution. 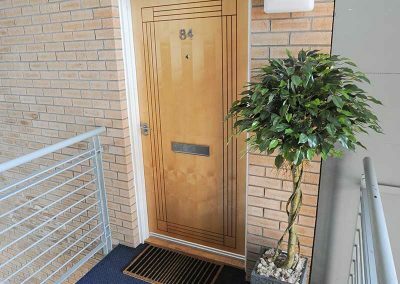 Our apartment is within walking distance to Stirling Town Centre, the local Train Station, bus station, cinemas, restaurants, bars, leisure centre with swimming pool, climbing wall, ice skating, gyms, historical monuments and much more. 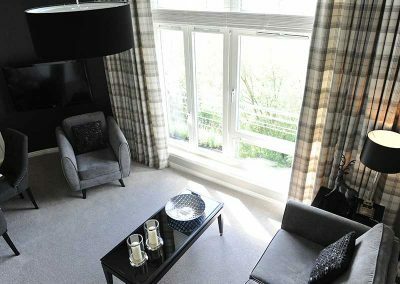 Stirling is a great base for exploring Loch Lomond and Trossachs National park, Blairdrummond Safari Park, Go Ape outdoor activity Centre. 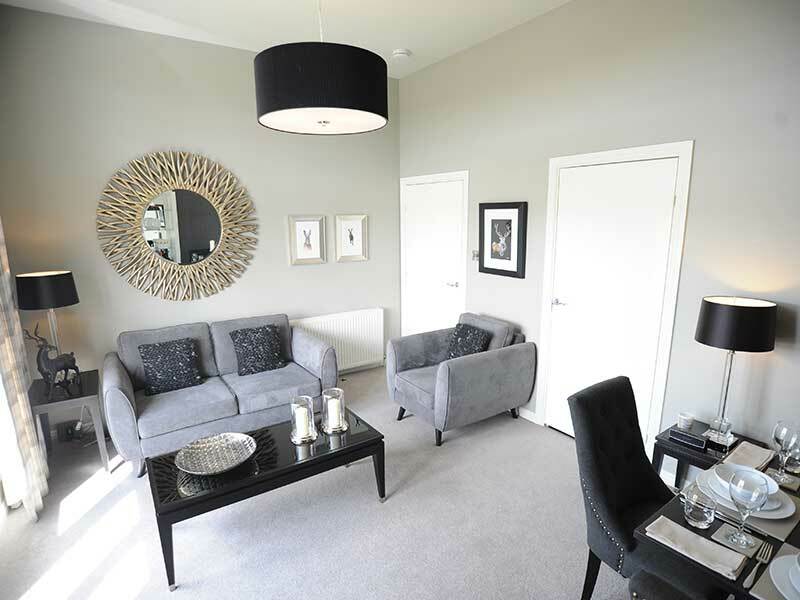 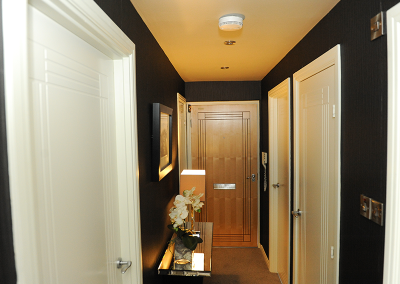 Our Apartment has designer luxury fittings and furnishings throughout. 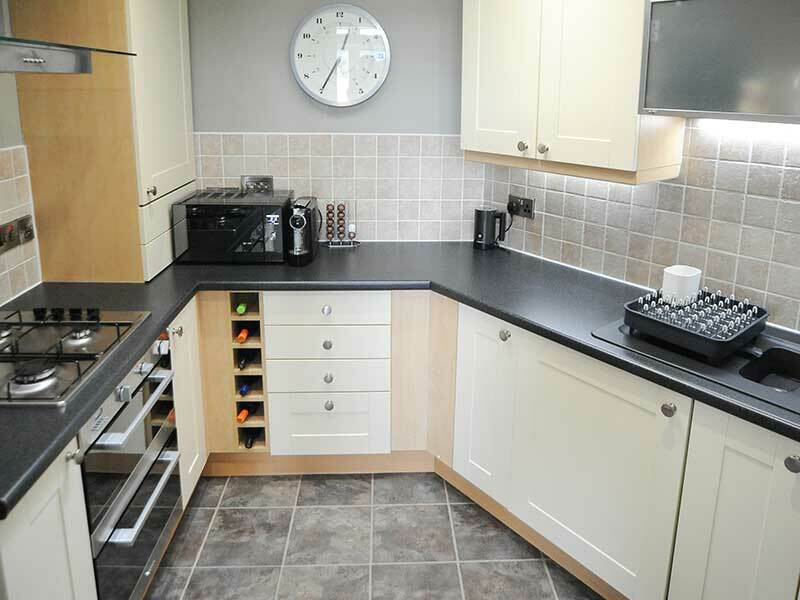 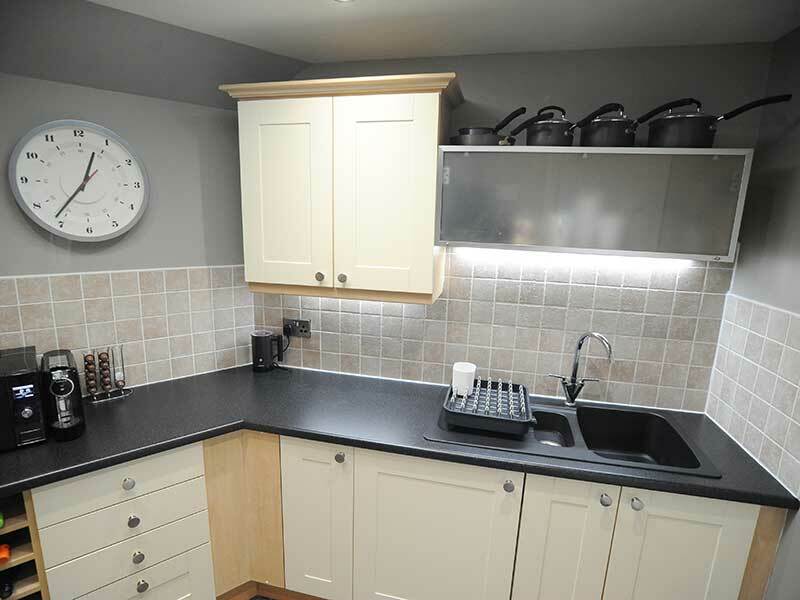 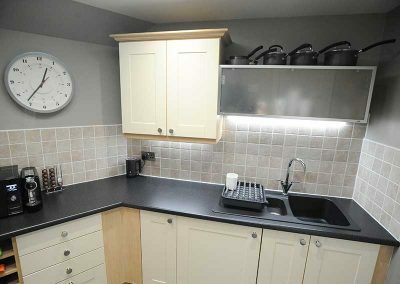 Our kitchen has everything you will need and if not then let us know! 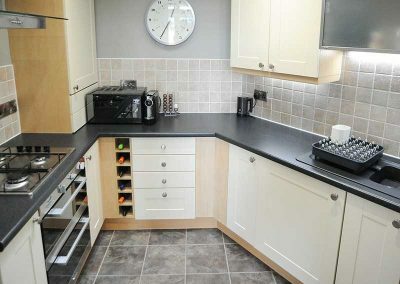 Every modern appliance including gas hob, electric oven, microwave, fridge freezer, automatic washing machine, fresh coffee machine and a welcome pack too. 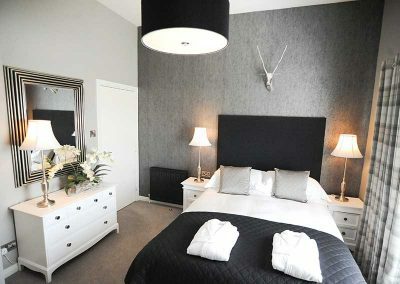 The two bedrooms have King Size Beds 2000 pocket sprung mattresses, Egyptian Cotton linen, feather and down duvets (alternatives are available) and soft comfortable pillows. 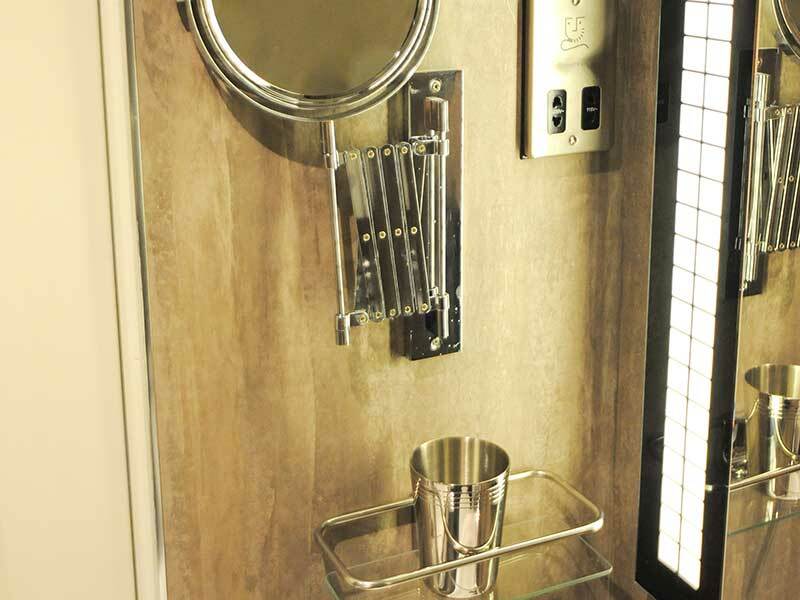 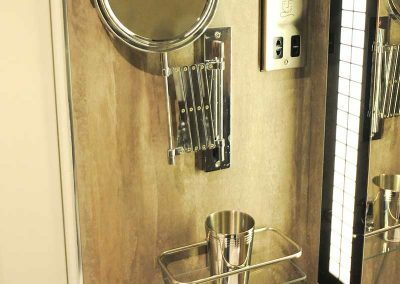 The rooms also have powerful hair driers, USB points, robes and slippers. 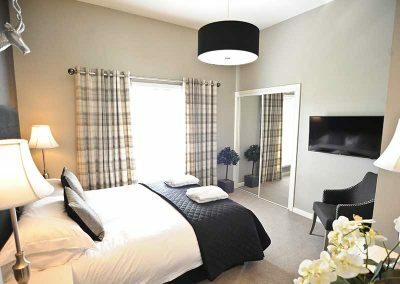 The main bedroom has a 40″ Flat Screen Television with DVD player and Freeview. 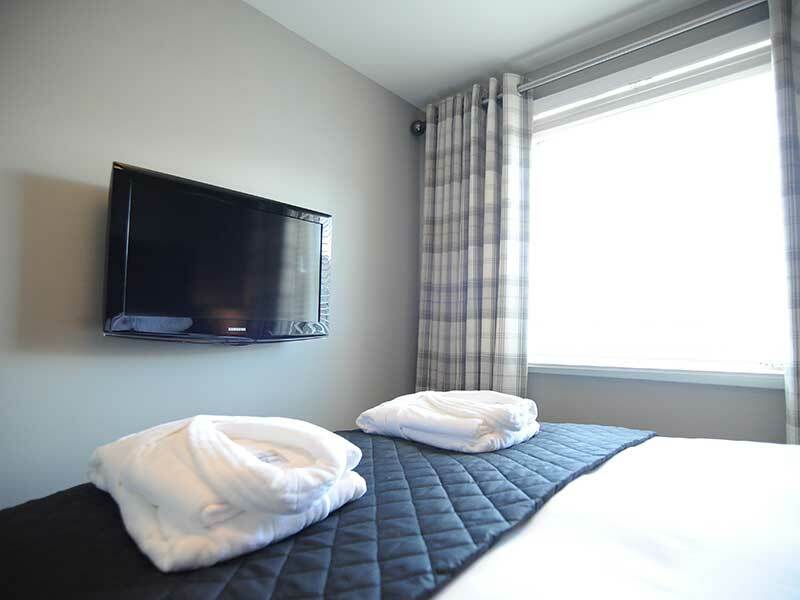 Second bedroom has all the luxury above plus with a 32″ Flat Screen Television. 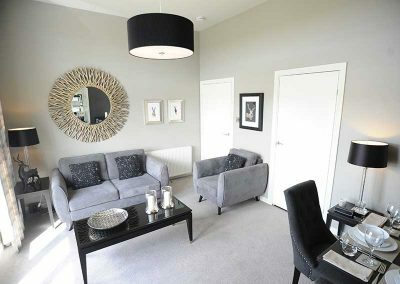 Lounge and dining room has luxury furnishings and fittings with a 50″ smart flat screen television with Freeview. 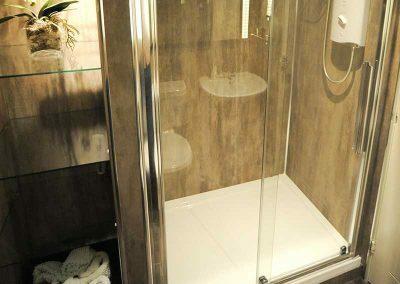 All gas, electricity, toiletries, towels, welcome pack and wifi included.